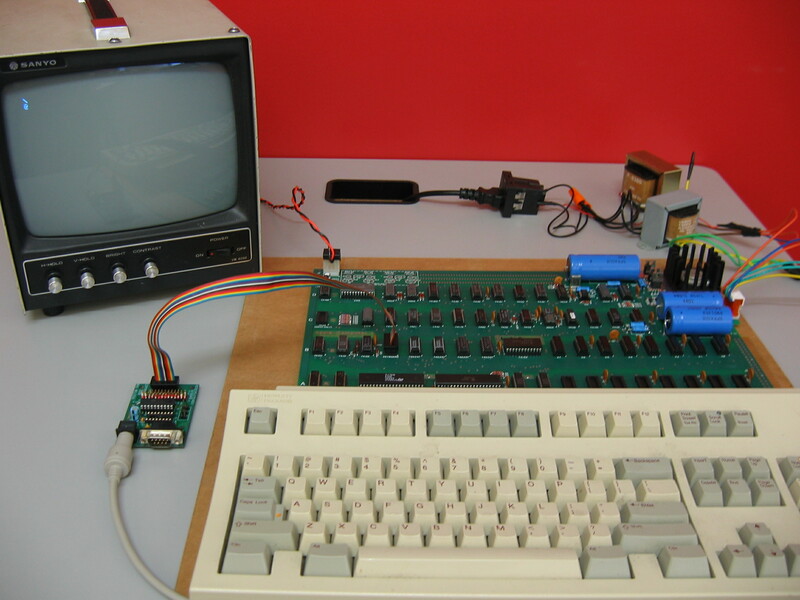 In addition to being able to use an Apple II Keyboard with an Apple 1 Computer, Mike Willegal has put together a small kit which can be assembled to provide a PS/2 interface for either the Apple II or the Apple 1 Computer. Mike’s solution features an ATtiny2313 configured to perform the PS/2 to Apple II or Apple 1 translation. 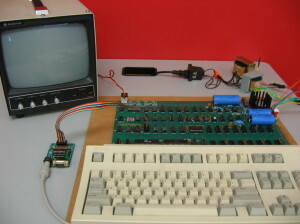 It also provides the ability to connect a serial connection to send data from another computer, or capture data being typed on the keyboard. Mike also offers an assembled version for individuals who wish to avoid assembling their own.